While the Internet has propelled businesses to use other forms of digital communication, voice communication is still the most personal way to get in touch, both within an organization and with customers. With the experience economy in full bloom—where it’s all about offering incredible customer experiences online and offline—the telecommunications provider you choose is an important investment. The supplier of your choice can make or break your organization. It can have an enormous impact on whether you can stay in business for the next five years or whether you should start talking about the liquidation value of your assets. Choosing a telecommunications company in the DC Metro area can be an overwhelming task. Besides the overwhelming number of choices, you also have to justify the switch and get everyone’s buy-in regarding the change. Which Telecommunications Company in the Washington, D.C. Area is the Best? Instead of combing through an extensive list of providers, why not go straight to the top 5 telecommunications companies in the Washington, D.C. area? Over the years, multiple third-party tests have proven that Verizon remains the one of the most reliable networks in most regions of the United States. Through Verizon FiOS, residents and small business owners in and around Washington, D.C. can choose from several packages, including a bundle of fiber and voice, or fiber, voice, and television in one. Medium and large scale enterprises can opt for Internet and voice packages, depending on bandwidth, flexibility, and scalability requirements. Verizon also offers 24/7/365 live support. Complimentary online tools for troubleshooting phone and Internet issues are also available if you have existing in-house IT personnel. Allied Telecom has been serving businesses along the Mid-Atlantic and Northeast Corridor. They offer Internet, data transport, voice, and unified communications services. Allied Telecom does not provide residential services. It focuses on custom business solutions for organizations requiring telework and remote access to corporate systems. You can choose from either cloud-based voice packages or PRI and SIP voice solutions. This telecommunications company takes pride in the fact that their voice service is not carried over the public Internet. Voice packets remain on Allied’s highly secure and redundant private network for exceptional QoS (Quality of Service). Cogent is a multinational Tier 1 Internet service provider catering to two customer segments—corporate level (small businesses to Fortune 100 companies) and "NetCentric” organizations (whose businesses rely mainly on Internet access). 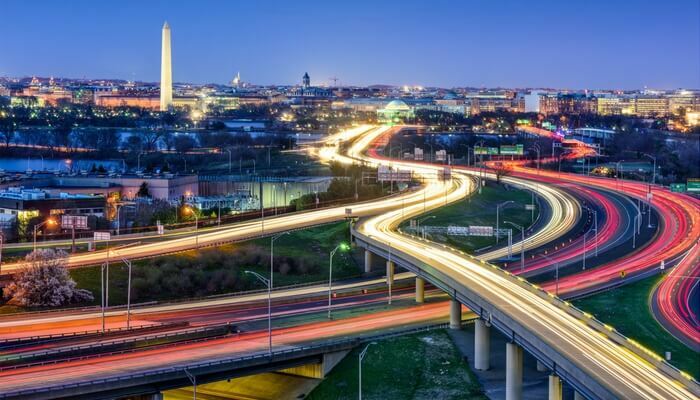 The services offered by Cogent in the Washington, D.C., area include dedicated Internet access for enterprise customers, IP transit, Ethernet services, and colocation centers. Their simple network structure (which allows for rapid provisioning) and a 'self-healing' ring architecture design (which helps minimize outages) are just some of the merits that Cogent is known for. As one of the nation's top provider of business VoIP services, XO Communications caters to small and large businesses alike in Washington, D.C., through their hosted PBX, SIP trunking, Ethernet, and cloud services. XO’s combination of nationwide IP networks and metro networks with fixed wireless capabilities allows them to provide maximum coverage and extensive local reach. Since the XO IP network and market connections run end-to-end across XO facilities, the telecommunications company is known for their quick resolution of issues and elimination of common failure points that typically arise from older network designs. Atlantech Online is a nationwide provider of fiber, voice, and data center services. We're biased, of course, but we are known for customer service that truly goes the extra mile, including 24/7/365 live expert support. Atlantech delivers phone calls and broadband Internet service on its managed, high-speed, high bandwidth fiber network. Businesses in the Washington, D.C., area rely on us when it comes to Internet connectivity, data center, and VoIP (voice-over-internet-protocol) phone service. Our pricing for both fiber and bundled services is typically lower than other carriers because we don’t have national marketing campaigns, have developed advantageous agreements with other networks and we have streamlined our business processes using automation and experience. While we are smaller than national companies with similar consolidated products, this size has been an advantage to our customers in the Washington, D.C. area. Transparent pricing structures, straightforward billing, and service-level-agreements for consolidated services are just some of the additional benefits that Atlantech customers in the Washington D.C. enjoy. Learn more about how Atlantech provides better value to Washington D.C. businesses than National Providers here. Communication plays an integral role in relationships. A successful organization, no matter the industry or size, depends on building positive relationships both internally and externally. 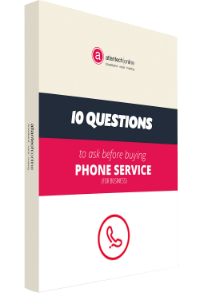 To foster effective communication among partners, coworkers, and clients, every business in the Washington D.C. area needs to make the right choice for their organization when selecting a telecommunications vendor. When an organization prioritizes effective communication, better business results will almost always follow. You can get in touch with our experts to help you make the right decision. Get all the information you need to make the smartest decision for your business’ telecommunications.